Menswear, Sportswear and Accessories Boutique located on the vibrant Falcarragh Main street. We stock a range of brands including Brave Soul, Prcision, Jack Murphy, Speedo, Ben Brown, Secrid and many more. Tom is from Meencarrick, Gortahork, while Emer is from Dublin. He moved to Dublin with his family when he was 5 years old. 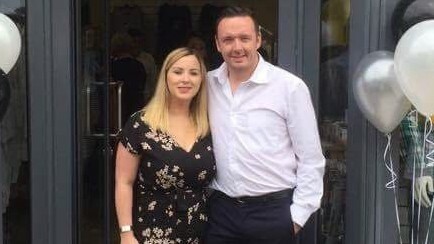 We lived in Bahrain in the Middle East from 2009 to 2016, moving back to Ireland last year and moving straight to Donegal to the family home-place to settle down and start our new lives in Ireland. We opened our clothing shop at the end of July 2017, after having our first baby at the beginning of June.